This is the first Not Another Bill present that I haven’t loved. But this says more about my fussy taste than NAB. The item itself is beautiful, and I loved the packaging. 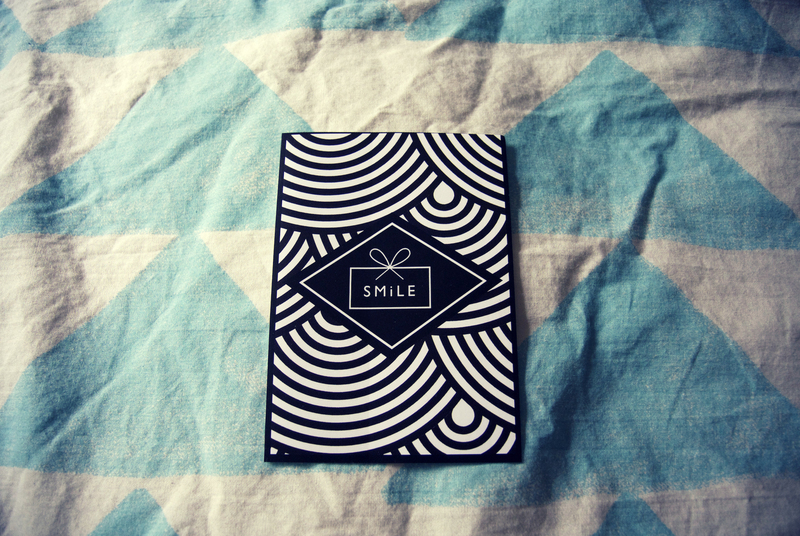 Plus, I got a super cute ‘smile’ sticker which greeted me as I opened the box – after a terrible week at work, it actually did make me smile. There was a screen printed origami envelope to open first of all. 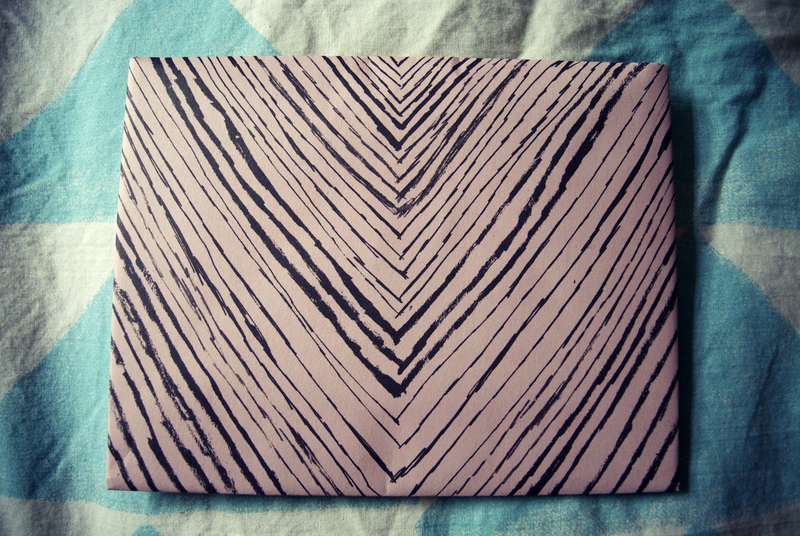 Really lovely paper. 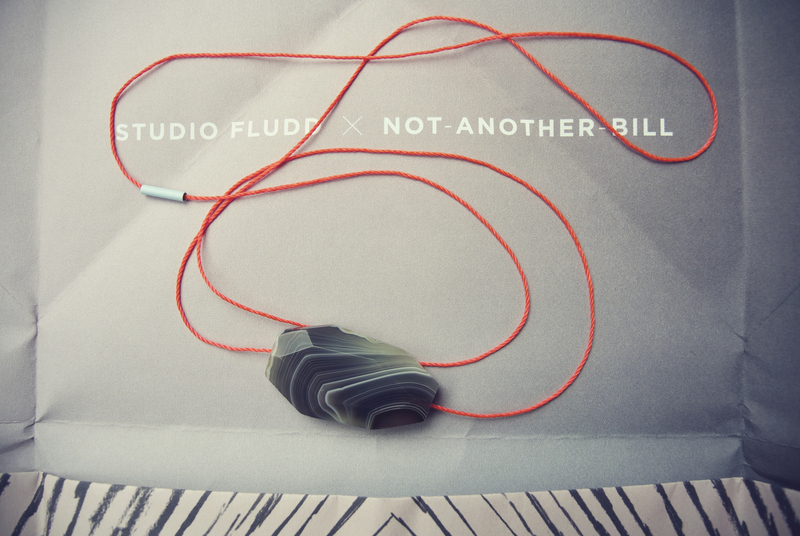 And inside was a very pretty necklace, featuring a Botswana agate stone on a neon orange thread made by Studio Fludd. The stone really is lovely – smooth and shiny – and it’s a good length as well, but you know me and my love for plastic kitsch jewellery. This is a lovely grown-up piece which I’m going to keep and hope that I find an outfit that fits with it. As Ned at NAB says, onwards and on to next month.